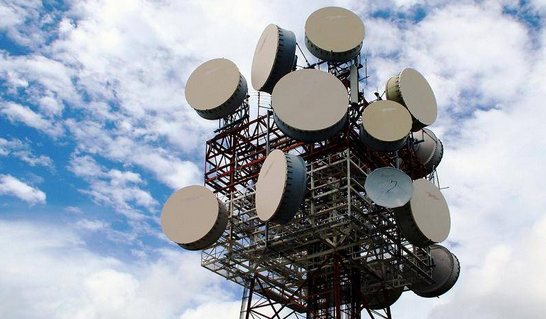 The Information and Network Security Agency (INSA) announced that over 700 million birr has been swindled by about 55 individuals who the agency accused of defrauding Ethio telecom’s service. Director General of INSA, Teklebirhan Woldeargay (Maj. Gen), revealed the news on Thursday while presenting his office’s 11-month performance report before the House of Peoples' Representatives (HPR). INSA, one of Ethiopia’s three key security agencies, has publicly outlined its current and future project plans, as well as several regulations that it is preparing in order to help bring technological revolution and to safeguard the country’s infrastructures. Apart from infrastructure development and preparation of legal provisions, the agency indicated several more activities. Among other issues, as disclosed by the Director General, are the systematic crimes and frauds that were committed against Ethio Telecom in the past 11 months. Accordingly, 55 suspects have been arrested in the reported period for allegedly cheating the telecom firm. Along with the suspects, close to 170 sophisticated technological devices were confiscated. Because of this crime Ethio Telecom has lost about 700 million birr so far. He added that, in a bid to tackle telecom related crimes, the agency is preparing regulations to govern it separately. Still, it is also building a digital forensic laboratory to help investigating computer crimes in relation to telecom cheating. In his report, where he incorporated four major areas of strategic activity, he indicates that the agency is building several technological infrastructures, skills and capacity to modernize the country’s technology for information gathering. He also spoke of safeguarding the nation from technology-aided attacks such as cyber attacks, devastating malware, electronic attacks and other threats that may arise due to technological advancements. Particularly the agency, according to Teklebirhan, has foiled more than 40 cyber attacks in various institutions in the country. To realize its ambitious plans of massive infrastructure development for information and its security, the director general revealed that various bills are under preparation so as deal with issues while undertaking its regulatory role. As a result the Cyber Crime draft proclamation was designed in 2013 and was sent to the Council of Ministers. Similarly, the Digital Signature bill was also completed, Teklebirhan said, adding that the draft is aimed at ensuring the safety of electronic commerce and electronic management. He expects the bill to be presented to the HPR soon. Similarly, the other important issues revealed by the head of INSA is the preparation of a new policy regarding the building of geo-spatial infrastructure development along with utilization and security. Moreover, a new draft law is being prepared for information and information security standard. Explaining the issues of security products and services, Teklebirhan also told MPs that his office believes that though the country does not have its own technology that insures the complete safety of information and its infrastructure, it is necessary to acquire the knowledge and maintenance skills. “Otherwise, our safety will be at a grave risk,” Teklebirhan said, adding that the knowledge and skill will, at least, help reduce and avert possible risk. He also underlined that it will contribute in reducing foreign currency in which the nation spends a significant amount of money for technology and its services. Hence, the agency is building a new infrastructure, which Teklebirhan described as the backbone of electronic commerce security. The technology is called Public Key Infrastructure and its aim is to protect the infrastructure from attack. It is also expected be operational once the draft proclamation of Digital Signature gets endorsed by the parliament. Regarding the development related to the introduction and utilization of the geo-spatial infrastructure development and cadastral map, Teklebirhan said there are technological scheme deals with the objective to collect information and store it properly after it is collected through aerial camera and technology. So far, the agency was able to collect information about land resources that cover over 48,000sqkm in three regions. In addition to that, according to INSA, the country has been spending huge amounts of foreign currency for the service. But after the agency’s effort, it was possible to reduce this amount. For instance, the agency saved over USD two million that the Ministry of Agriculture was to pay foreign company for the service. In a bid to find a sustainable resolve, Teklebirhan told MPs that his office is considering buying the camera and aircraft, which would help it render aerial photo service of geo-spatial technology. It can be recalled that INSA signed a Basic Exchange and Cooperation Agreement (BECA) with the US National Geospatial-Intelligence Agency (NGA).